Caerleon Child Care who are based in Jump Indoor Play centre in Llanishen have supported the University Hospital of Wales for several years by collecting donations for the Land Ward to help bring a smile to the face of a child and their family while they are unfortunately spending time in hospital over the festive period. The nursery this year would like to extend their donated gifts to include the Young Teenage Cancer Ward and would like to ask the local community if anyone would also like to make a donation to the children to help bring a little joy to them this Christmas. We will be collecting Selection boxes, soft toys, arts and crafts or games and puzzles that can be played with at the bedside. The age range is from 2 years to Teenagers. 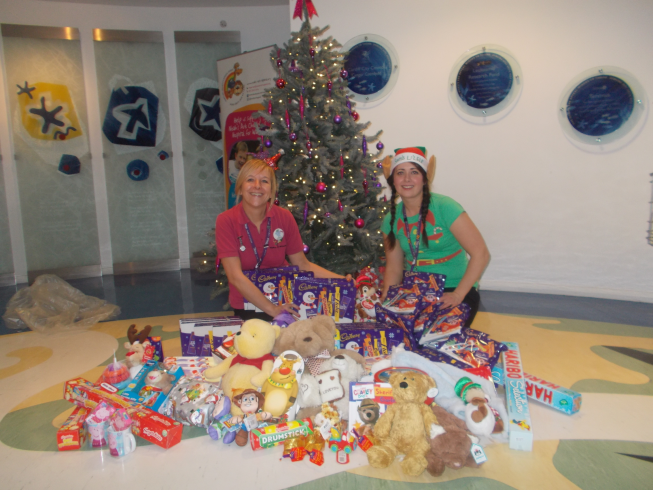 Kaye is liaising with Lindsey Thomas who is the PCSO for The University Hospital Wales this Christmas who is helping with the distribution of the gifts.